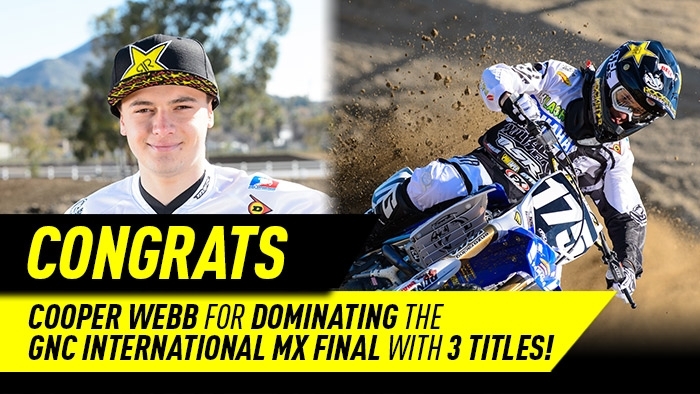 Cooper Webb was clearly the fastest A rider at the GNC International Motocross Final at Oak Hill MX in Decatur, Texas. Webb was victorious in all classes that he entered. Luckily for the competition he was not allowed to race his 250 in the 450 A classes. He did however win the open skill class on his 250 against 450's. He also won 250 A mod and 250 Pro.